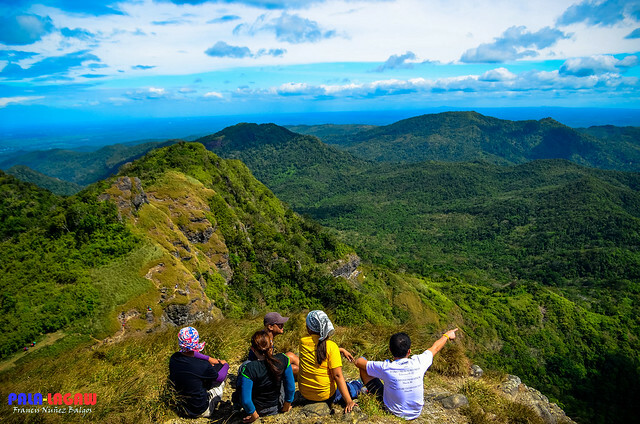 Mt Pico de Loro is at 664 MASL, considered to be the Highest Peak in the Province of Cavite. Mt Pico de Loro is part of the Palay-Palay Mataas Na Gulod Protected Landscape of the Palay Palay Mountain Range. A National Park, Game Refuge and Bird Sanctuary. The last remaining lowland rainforest in the province of Cavite. 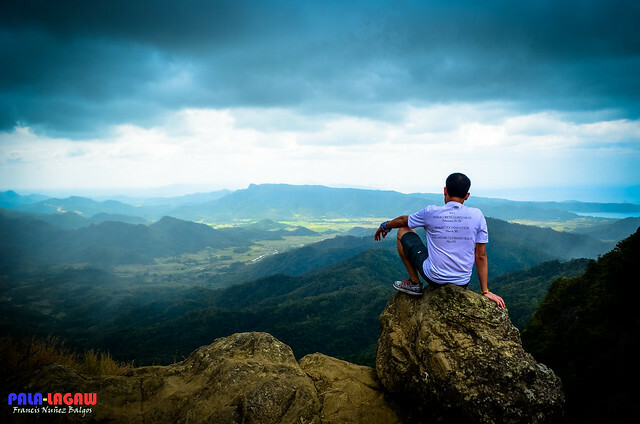 Palay Palay Mountain Range includes notable peaks like Mt Pico de Loro (664 MASL) the highest mountain in Cavite, Two extinct Stratovolcanoes namely Mt Palay Palay (648 MASL) and Mt Mataas na Gulod a.k.a Mt Marami Boulders (622 MASL), Mt Dos Picos (375 MASL). 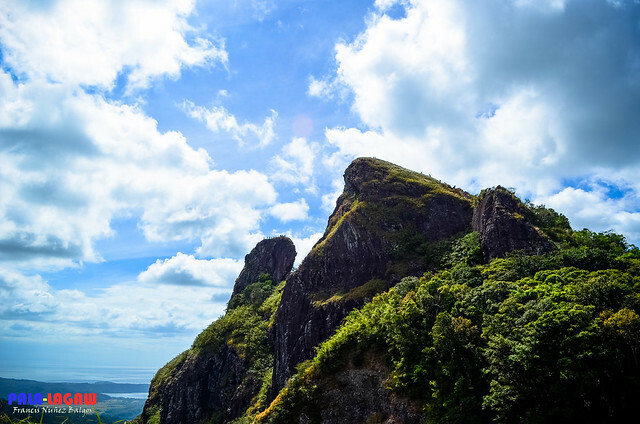 The blogger has climbed Pico de Loro twice as of this post, May 2014 and February 2015. Two weeks after my last climb, DENR announced the closure of the old trail effective immediately and introduced a new trail where jump off is from the DENR station. 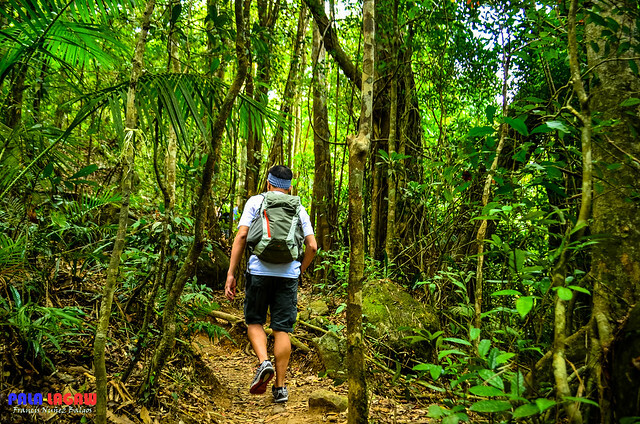 This Itinerary is very much the same as the old trail Trek Guide I posted, Jump off starts from the DENR Station and skips the Magnetic Hill to Rene Medina's place. The new trail is described as a continues assault before coming to a junction with the old trail 15 minutes from the saddle campsite. Mt Pico de Loro summit is bare and steep grassland. Bring sun protection and umbrellas on a sunny day. Scaling the Rock Monolith is only for those confident in their physical prowess; if you have fear of heights, then do not dare climb Pico de Loro Monolith. 1:00 PM Start descent, backtrack to DENR Station. 3:30 PM ETA to DENR Station forwash up. Other expenses will be Carinderia meals or packed lunch. One of the most responsible Mountaineer I ever met. 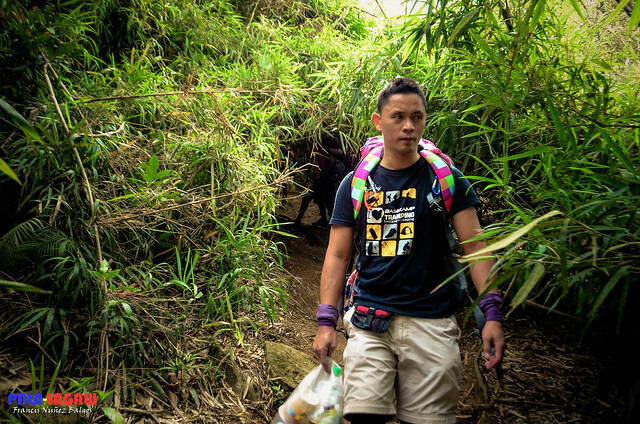 Sir Teo is not carrying his own trash, he picked them up while trekking. 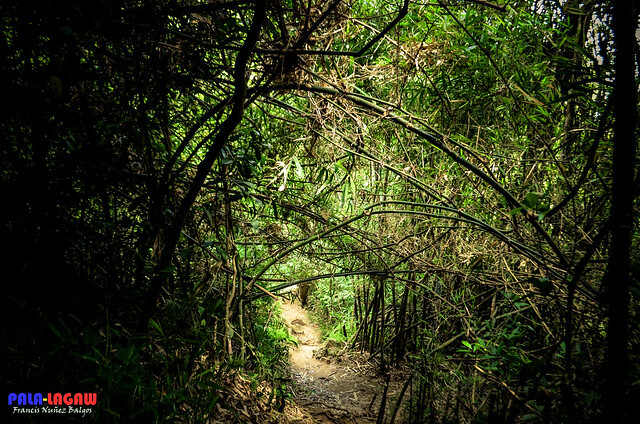 Trails near the campsite is distinguished by clusters of Bamboos. Awesome pics! Been meaning to see that place. It was just my second climb pero astig agad hahaha Enjoyed reading your post. And your pics reminded me of my experience while climbing Pico De Loro. Nice post,very informative. are they allowing overnight on pico now? pwde na bang mag overnight sa taas? kahit wala na bang guide scaling the monolith? Guide is not needed in the monolith.. Caution is requested though kasi delikado din yun. Hey, just a question: If I wanted to take my car with me instead of taking a bus, will there be a place to park it when I get to Maragondon/the DENR Station? DENR Station has parking lots.. You can also park in the roadside. Hi Francis! Been searching the web for blogs about the Mt. 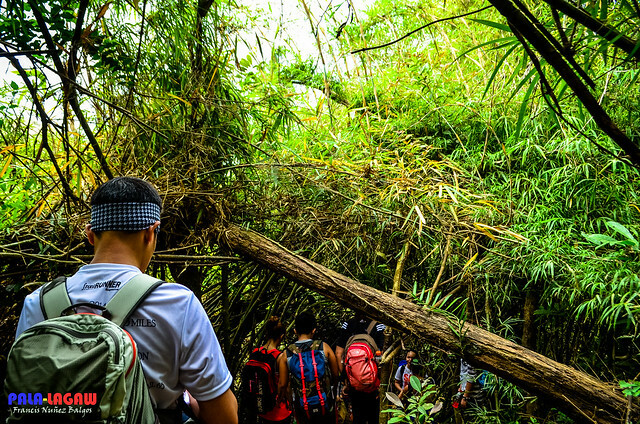 Pico de Loro hike, yours is one of the most detailed one yet! :) Question though: Would you suggest first-time mountain climbers on Mt. Pico de Loro? We're around a group of 6 and it's our first time climbing a mountain. Mt Pico de Loro is recomendd for beginners. Always consider physical fitness when you climb. theres really no hard or easy mountain, only climbers with stamina and determination. Required na yata ang guide sa pico de loro, they can asses you b4 u climb. Do you know how much would a guide cost? Hi we're planning to trek on nov 18 night.. pwede po ba mag over night camping dun? asking for your response.. I dont see any reason why not.. This mountain has a designated camp site. Di nako bumalik sa pico, it has become to commercial for me base on my last climb. open p b ung waterfalls s pico? bro open p ba ung waterfall s pico? Usually sir kung tagulan, open yung falls. Hindi naman nag sasara yun eh, yun lang, kung walang ulan, walang ring tubig dun. You might have to consider that. hello po, pwede po ba maghike dun even if der is no tour guide..? Hello po, we're planning to "conquer" pico de loro one of these days. We're a team of five from quezon province (commuters). Anyone knows kung meron transient house near denr? Contact nos? Thanks. Plan po namin mag pico this nov.18 baka po may pede makasabay. 3 palang po kaming sure and lahat kami 1st timers. hi punta din kami nov 18 pico, 3 lang din kmi first timer din pwede maka join? Hello Guys, ask lang po pano po ba pumunta sa Ternate from Pala-Pala Dasma? Balak po naming umakyat sa Nov.28 at manggagaling po kami sa Biñan City. I honestly dont know Sir. Balak po kasi naming umakyat sa Mt. Pico de Loro sa Nov 28. Do we need to set up a reservation or walk in na lang? Thanks. Sir ask ko lang, ok lang ba to trek Pico with a group of 2-4? And what time po nagbubukas yung registration, plan sana namin to do a Sunrise there, as early as 5:30 in the summit, pero if hindi po possible, gang what time po kaya pwede registration para ang i chase nalang namin is yung sunset. Cool I am gonna climb again pico de loro soon, mag kno po iyong guide fee ninyo samin kasi dati mahal any way here's my post about our climb thank you for this article. Never o pa nagawa na kumuha ng guide service sa Pico. This mountain is so popular most of my hiking friends are actually familiar with it. Hi! 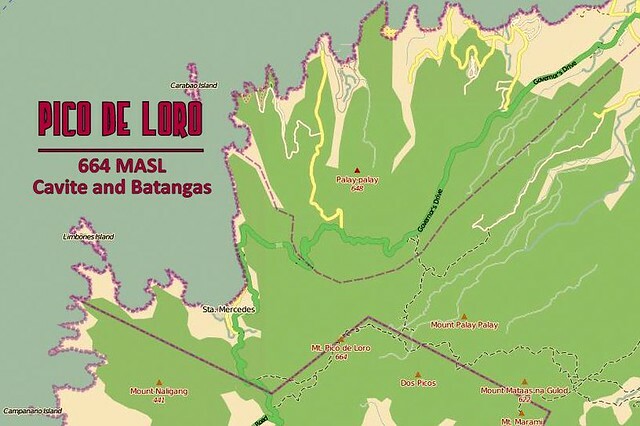 we're planning to hike in pico de loro on Dec 12, should we need to book a slot? Hindi po ito Mt Pulag.. No need for pre registration. Pwede pa po ba mag overnight sa pico? San po kaya pwede maghire ng tour guide? Can I invite? Is this a blog? Thanks! San po kaya pwede mag hire ng tour guide:pag maghahike sa pico? Thinking it is light, ignorance is darkness, ignorance it was heresy for human and most contemptible are those who mistreat subordinates. hello po me and my workmates are planning to hike pico dis coming may ..
who wants to join po?3rd time ko na po umakyat sa bundok .. Ask ko lang kung pwede mag overnyt?? me akyat kasi kami ngayong sept9,2016to sept 10,2016 sana. anyone who s planning to take a dayhike, can i join? any contact po sa guide doon? hi..solo lang po ako..plan ko po ma hike yun mt. pico de loro this summer, pwede po ba maki join sa team?